Amazon announced its Cloud Player today. Here are the details: you get 5GB free and if you buy some music on Amazon, you get another 15GB free for a total of 20GB. You can upload your music to the Cloud right now. The service doesn’t work on iOS but does work on Mac. This might carry us over until iOS5 is announced, anyway. Interestingly, Amazon is also offering to store Documents, Pictures and Videos in that 20GB as well. Amazon has had their S3 Cloud infrastructure going for awhile, now we’ll get to see how strong it really is with the influx of music users. 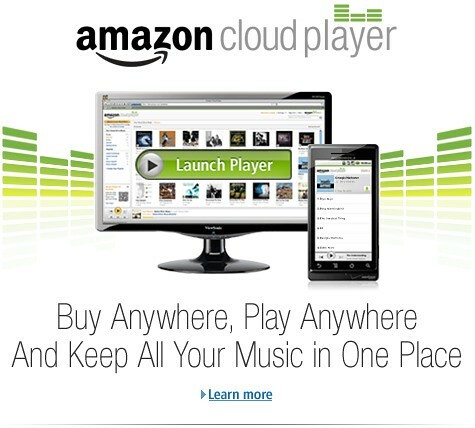 Click the Launch Amazon Cloud Player button to start listening to your purchase. Add more music from your library by clicking the Upload to Cloud Drive button from the Cloud Player screen. Start with 5 GB of free Cloud Drive storage. Upgrade to 20 GB with an MP3 album purchase (see details). Use Cloud Player to browse and search your library, create playlists, and download to your computer. Can I upload music from my phone?Uploading music from your mobile device is not possible at this time, but you can upload music from your PC or Mac.See how to upload music.